Laurence B. Lamy joined the NCATS Division of Pre-Clinical Innovation in December 2016. Lamy is a molecular biologist in the Laboratory of Assay Development and Screening Technology, where she develops cell-based assays and phenotypic screens to advance the discovery and characterization of active compounds. Before coming to NCATS, Lamy was a research scientist at Paradigm Shift Therapeutics, where she was in charge of developing molecular tools and cell-based assays to support high-throughput screening of compounds libraries for drug discovery and pre-clinical studies. Lamy received her Ph.D. in immunology from the Nice Sophia Antipolis University in France, under the guidance of Alain Bernard, Ph.D., where she focused on the signaling pathways controlling T-lymphocyte apoptosis and its role in the regulation of inflammation. 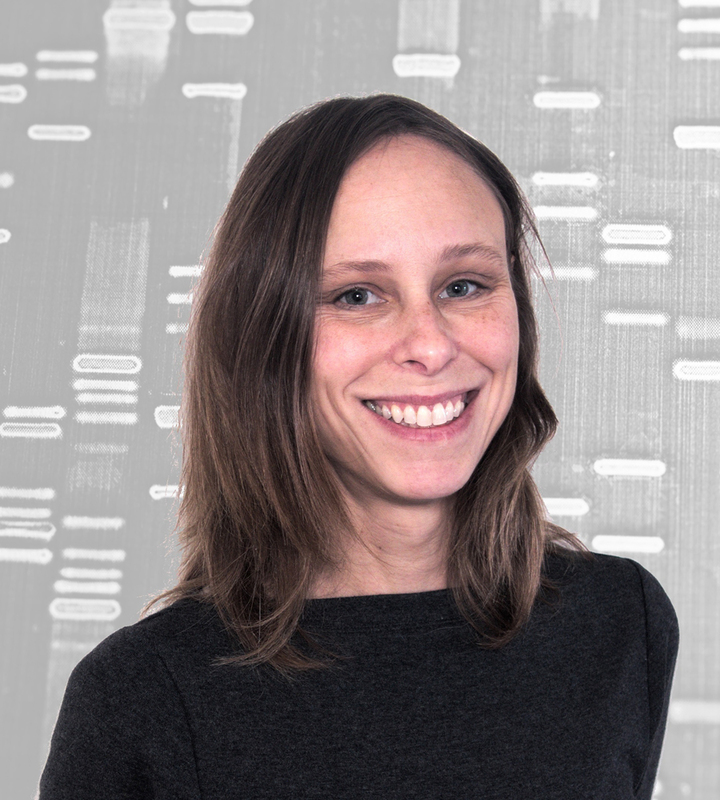 Her research interests as a postdoctoral fellow, under the guidance of Louis M. Staudt, M.D., Ph.D., at the National Cancer Institute, were to explore signaling networks in hematological malignancies and gain firsthand experience with cutting-edge experimental genomic techniques. Lamy focused on identifying vulnerabilities in multiple myeloma, using a high-throughput functional genomics screen based on RNA interference, and identified caspase-10 as a master regulator of autophagy and a potential target for drug discovery. Lamy’s research interests include rare and neglected diseases, as well as oncology targets. Her goal is to understand the fundamental biology and molecular mechanisms underlying these pathologies to exploit their therapeutic potential. She develops molecular biology tools and biological assays modeling the disease of interest that are amenable to high-throughput screening. Her current focus is the development of bacterial shells as a vector for drug delivery, and the tailoring of the coincidence reporter-gene system for high-throughput screening developed in the lab for the discovery of small-molecule inhibitors of microRNA function. Control of autophagic cell death by caspase-10 in multiple myeloma. IRF4 addiction in multiple myeloma. Interactions between CD47 and thrombospondin reduce inflammation. A loss-of-function RNA interference screen for molecular targets in cancer. CD47 and the 19 kDa interacting protein-3 (BNIP3) in T cell apoptosis.